Dodgers Blue Heaven: Blog Kiosk: 9/20/2018 - Dodgers Links - Sweep! Cat Loves the Dodgers shares her sweeping pics from last nights game here. ICYMI: Chase Utley was named the winner of the 13th annual Roy Campanella Award - which is given to the Dodger player who best exemplifies the spirit and leadership of the late Hall of Fame catcher. A special ceremony will take place before Saturday's game with Campanella's daughter, Joni Campanella Roan, and his grandson, J.T. Campanella, presenting the award. Check out a press release here. 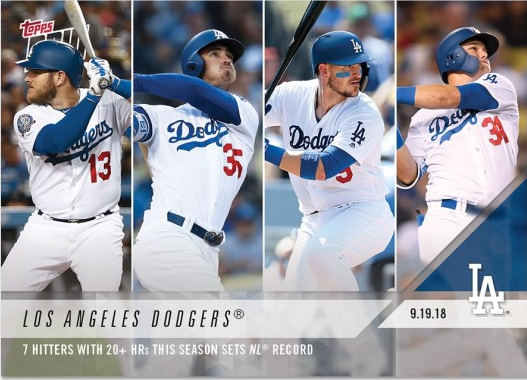 Via Doug Padilla at MLB.com; "Dodgers set NL record with 7 20-HR players." BTW, for this team accomplishment Topps has issued a 2018 Topps Now card to celebrate it -- available til tomorrow morning. Check it out below. Go here to place an order. Having seven players with 20 or more homers is a first for any Dodger team, and it also ties a National League record. 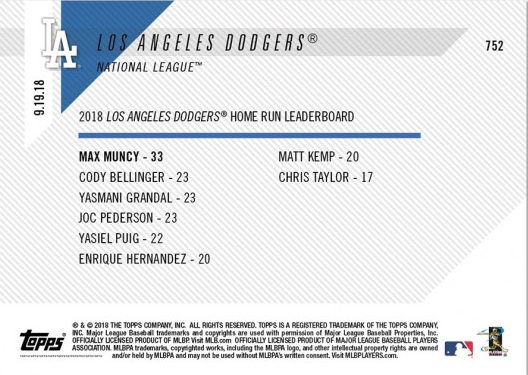 Featured on the card is Max Muncy, Cody Bellinger, Yasmani Grandal and Joc Pederson. 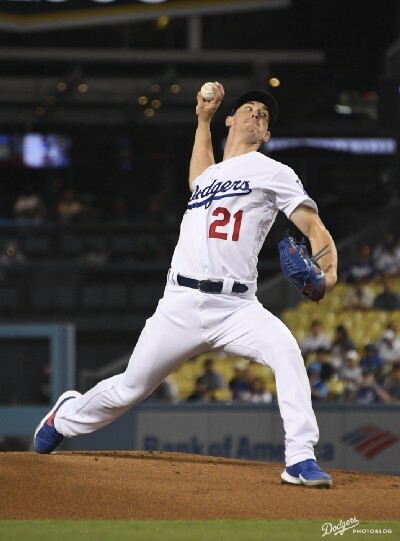 Via Jeff Sullivan at FanGraphs; "The Quiet Boost to the Dodgers’ Bullpen." (Dylan) Floro, this year, has been very good. Since joining the Dodgers, he’s become even better. And you don’t have to rely on Statcast statistics to see it. Floro has a better ERA with the Dodgers than he had with the Reds. He has a better FIP, and he has a better xFIP. His strikeout rate has improved by 12 percentage points. His swinging-strike rate has improved by six percentage points. Looking at everyone before and after the date of the Floro trade, only Matt Barnes has seen a greater whiff-rate increase. Floro’s improved, and he’s been trusted with higher-leverage appearances as a member of a bullpen that had caused an awful lot of headaches. This is just weird. It's like there's an organized conspiracy to steal from Puig. 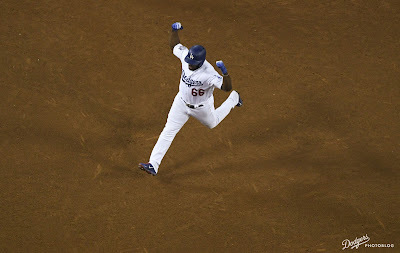 Per TMZ; "Dodgers Star Yasiel Puig Burglarized for the fourth time." Per Bill Gutman at Baseball History Come Alive; "The Story of Bill Bergen: The Ultimate 'Good Field, No Hit!'" On August 23, 1909, he cut down six St. Louis Cardinals runners trying to swipe a base. Of the 13 catchers in the Hall of Fame, only five of them ever had as many as 100 assists in a season. Bergen went over the century mark in assists in nine of his 11 big league seasons. He finished with 1,444 assists in just 947 games. That’s ninth all time. Why just 947 games? Well, Bill Bergen was never a regular. Only twice in his 11 seasons did he appear in more than 100 games. And there was a good reason for that. As good as he was behind the plate, Bill Bergen was arguably the worst hitter in baseball history.